Providing you the best range of digital multiplexer, machine vision systems and weight indicators with effective & timely delivery. 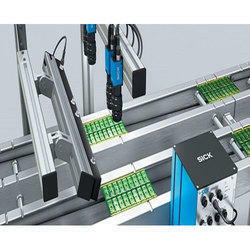 We are the market leaders, when it comes to the production of wide variety of Digital Controllers. We are responsible for the production of high quality Digital Multiplexer, in which high end technologies are incorporated. Our products are used for the indexing of rotary table. Based on the selection signal, the product multiplexes 16 inputs to 4 outputs. The robust product is extremely efficient in performing its high level functions. Our products are reasonably priced. Machine vision System is the technology and methods used to provide imaging-based automatic inspection and analysis for such applications as automatic inspection, process control, and robot guidance in industry. Most problems start at the very beginning of a product’s journey on the production line. Getting it wrong there can have disastrous consequences. However, with our machine vision systems in place, you can instantly improve your production processes so that the products you produce are made at higher speeds, without defects, and at lower cost. 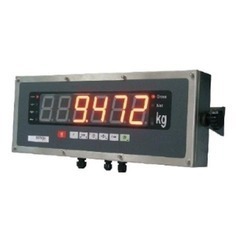 Our Weighing Indicator are Micro-controller based highly versatile controllers for Weighing / Batching Applications. Various controlling options are available to control drive, solenoid etc. to control material in hopper. Load cell / weigh bridge interface is provided to cover wide range of applications. Typical applications are Weighing and Batching, Loss in Weight Control, Hopper Control etc. 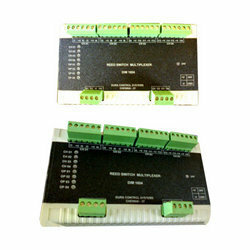 Options like Printer interface / PC Interface / 4-20 mA output make it versatile connect to PC or SCADA software or feed values to PLC. Remote Large displays are available to show the weighing results along with information like set values, weight, charges etc. for applications like Truck weigh bridges, Octroi information displays etc. Looking for Digital Equipment ?